Set in idyllic surroundings, the Thompson Golf Club is a classic reminder of traditional golf course design in rural Manitoba. The course is a nine hole layout measuring 3321 yards in length. 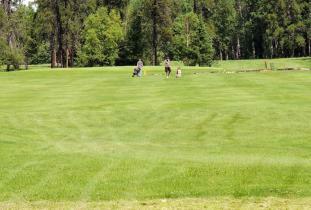 The Thompson golf course has a variety of challenges for the recreational as well as the competitive golfer. Well placed bunkers and water hazards establish in the golfer that he or she must manage their game. Regardless of whether you are a lady golfer, a junior or a male golfer, the Thompson Golf course has a challenge for you.